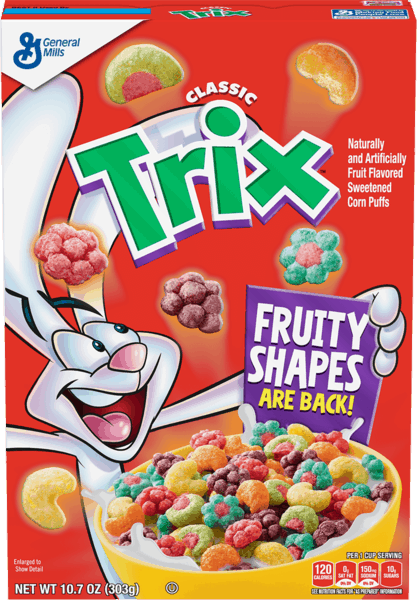 $1.00 for Trix® Cereal. Offer available at multiple stores. $0.50 for Lindsay® Spanish Pimiento Stuffed Olives (expiring on Sunday, 05/19/2019). Offer available at multiple stores. $3.00 for Clairol® Natural Instincts (expiring on Saturday, 11/02/2019). Offer available at Walmart, Walgreens. $5.00 for Pure Bliss™ by Similac® Formula (expiring on Tuesday, 10/01/2019). Offer available at multiple stores. $0.50 for Cascadian Farm™ Products (expiring on Friday, 08/02/2019). Offer available at Walmart.